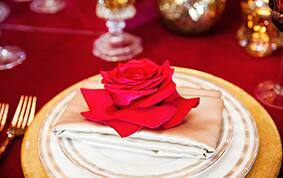 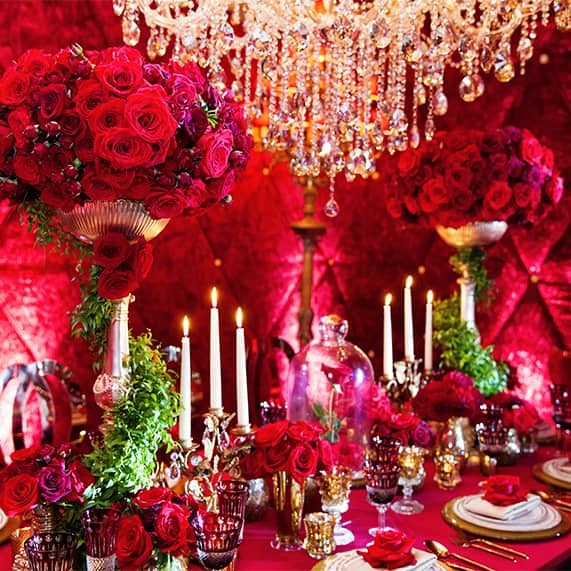 Be our guest at this luxurious and enchanted Beauty and the Beast inspired wedding reception overflowing with regal dining decor and a plethora of deep red roses. 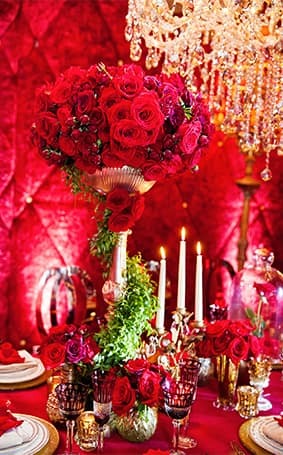 It's no wonder that Belle's name means beauty because it's the perfect word to describe this celebration inspired by the princess. 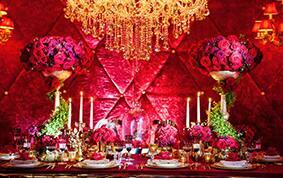 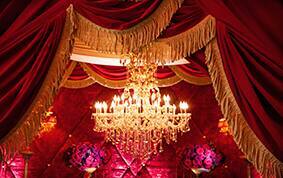 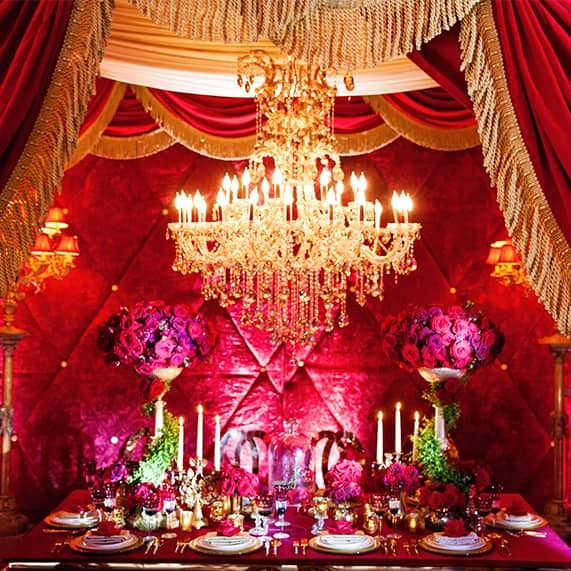 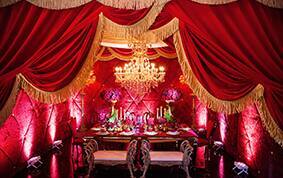 We pulled together all the best decor from the Beast's castle to create this elaborate, grand reception. 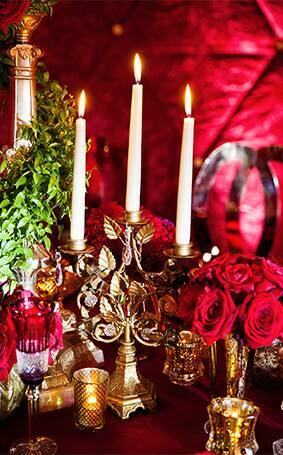 Candelabras were a must for a touch of character to the table, but we can't guarantee these will come to life like the charming Lumieree. 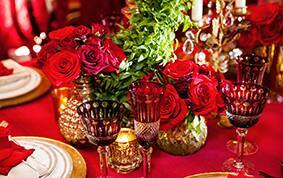 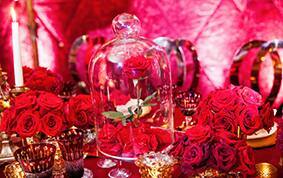 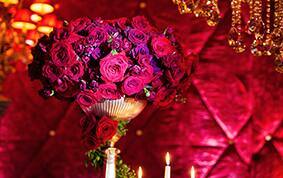 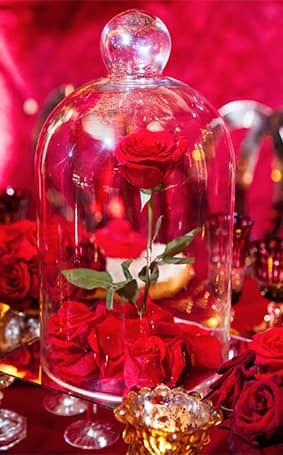 The iconic glass domed rose centerpieces brought everything together for a modern fairy tale evening. 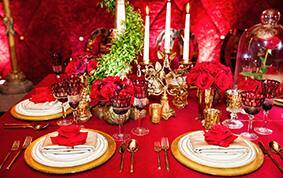 Oh, and don't forget to try the gray stuff...we've heard it's delicious. 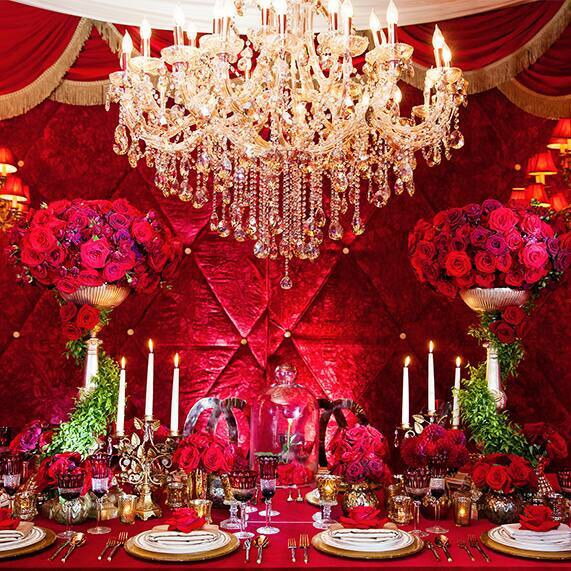 This is so regal and beautiful! 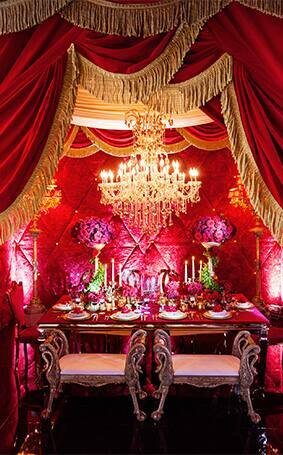 Very lavish, who wouldn't feel like royalty?